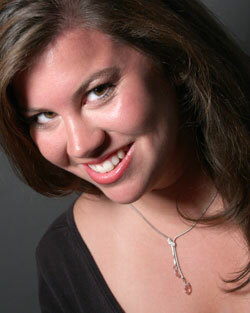 Soprano Claire Boling is a Nashville native and earned degrees in vocal performance from the University of Tennessee at Knoxville (B.M., 2009) and Voice Performance and Literature from the Eastman School of Music (M.M, 2011). She is the recipient of numerous awards and has sung many roles on opera stages across the country. The first portion of each Birthday Concert will feature her performances of three seldom-performed songs by Amadeus, accompanied by Roger on the piano, followed by the bright, soaring Laudamus Te from Mozart’s Great Mass in C minor, accompanied by the Mozart Birthday Festival Orchestra. I’ve been working with Roger for a few years now, and each time we collaborate, I become more and more enamored with his artistry. 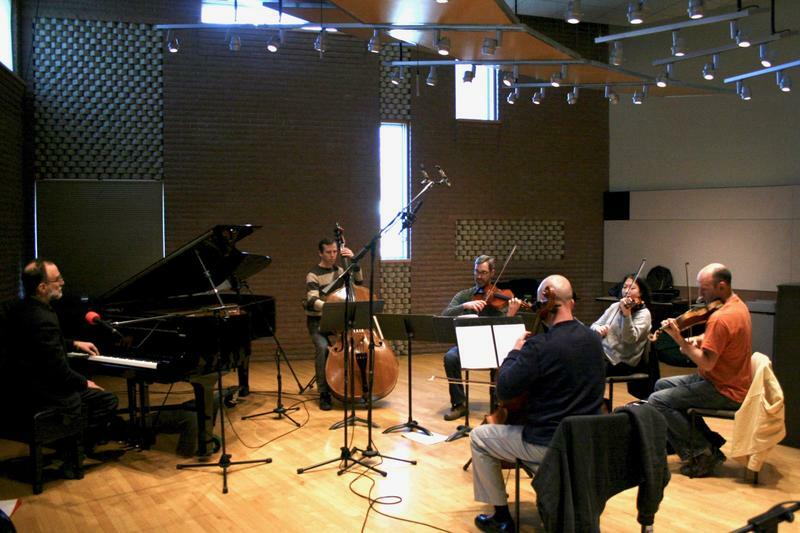 Mozart wrote such amazing works and it is a joy to collaborate with Roger, bringing these pieces to life. We don’t hear too much of Mozart’s art song, and I’m looking forward to showcasing them in these concerts. They are wonderful little gems, which I hope will provide just as much joy to the listener as the performers! 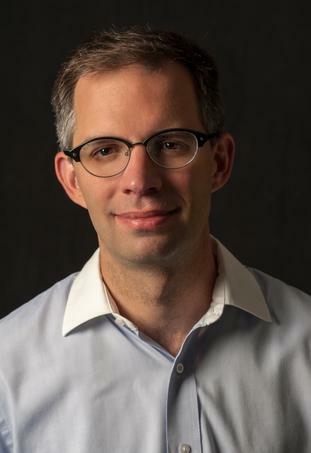 This year, the Mozart Birthday Festival Orchestra will be conducted by Dr. Matthew Phelps, Minister of Music at West End United Methodist Church in Nashville. Although this is his first appearance at the Mozart Birthday Concerts, Matt has been a regular conductor for Nashville Concerto Orchestra concerts in 2016 and 2017 and he is well-known to Nashville classical music audiences. 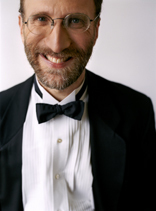 He will be performing Ravel’s Piano Concerto in G Major with the Concerto Orchestra in June. I was honored when Roger asked me to conduct the Mozart Birthday Concert Orchestra. It is one thing to be a conductor and be thrust upon an ensemble as most are; but, it is a high honor when you are the musicians’ choice to conduct the orchestra. Roger is one of the most generous people I’ve ever met and I would jump at any chance to make music with him. The Piano Concerto No. 27 in B flat Major is the last one that Amadeus wrote, and his only performances of it took place the year that he died. 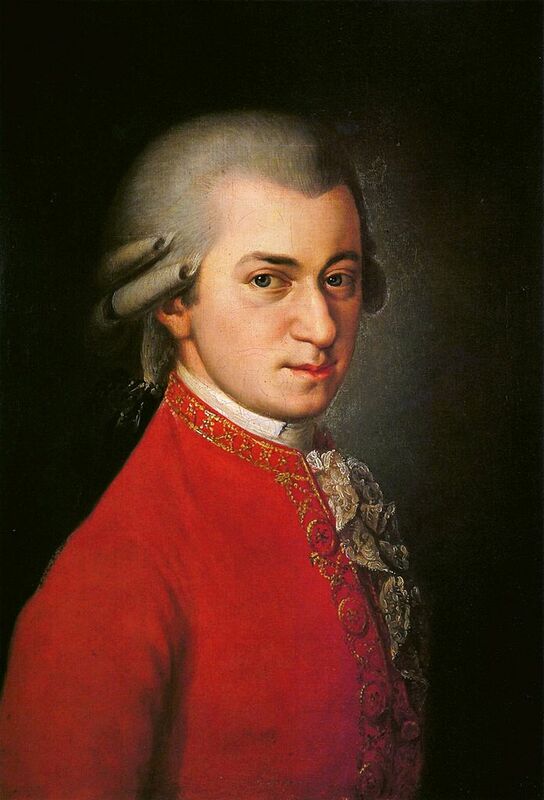 There is some disagreement among scholars as to the exact dates of its composition and performances, but probably he probably began work on it no earlier than 1788, and he may have played it in his final public performance on March 4, 1791. Amadeus died later that year on December 5. Last week, Roger and I sat down to talk about Amadeus, his music, and the upcoming concerts. As he sits across from me in my office at the symphony dressed in jeans, a wool cap, and a sweater that might have belonged to Hans Christian Anderson, his bright eyes twinkle with enthusiasm and his voice quickens as he describes the concerto he will be playing this year – it’s clear that he loves this music deeply, passionately. “I started doing the Mozart birthday concerts soon after I moved back to Nashville in 2001, but a few years ago I realized that its just an excuse to play his piano concertos! A friend of mine, Paul Renzi – a gentleman who use to play flute in the NBC Symphony under Toscanini – once said to me that Mozart’s piano concertos are ‘the caviar of music’. 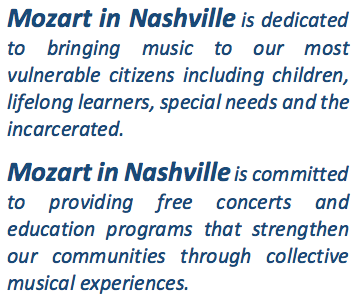 Proceeds from each Mozart Birthday concert will be split between the venue (the church where the concert takes place) and the Children’s Kindness Network. The suggested donation is $10 – no one will be turned away. By walterbitner in Chamber Music, Community, Mozart in Nashville & Concerto Orchestra, Music on January 8, 2018 .